Just when you thought we were getting sick of the horse race … we decide to do 2014 election coverage in a 2016 battleground: New Hampshire. And what a place to choose. It’s the site of a key Senate race (and a small silver lining for Democrats) and, lucky for us, a fantastic staff at NHPR. On Tuesday, Democrat Jeanne Shaheen bucked the GOP tide and was re-elected to her Senate seat. It was her fifth statewide win — two for the Senate and three before that as governor. This week’s trivia question is: what woman has won the most statewide election victories? Submit your answer in the box below. We’ll pick a winner at random from the bunch. The winner will get a fabulous, vintage Political Junkie button. Don’t forget, you can get the trivia question a whole day early by simply liking our Political Junkie page on Facebook every Wednesday. You can sign up for our Political Junkie newsletter, too. You’ll get all the latest from Team PJ every weekend. Who wouldn’t want a little Ken in their inbox? And as for last week’s question … before Angus King of Maine and Bernie Sanders of Vermont, who was the last senator elected to his first term who won as neither a Democrat nor a Republican? The answer is: James Buckley of New York. 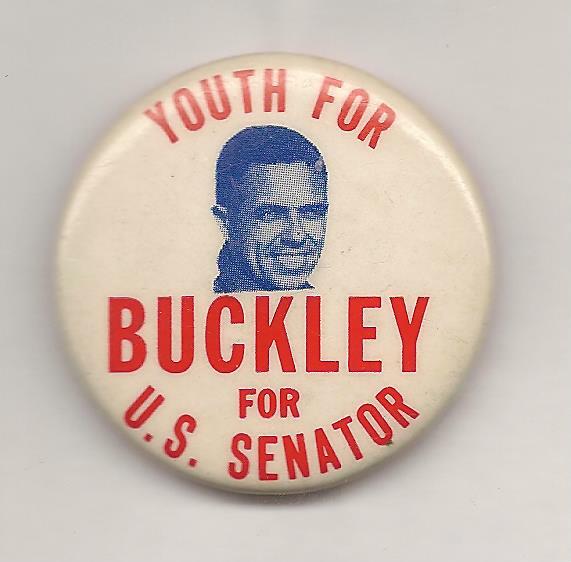 In 1970, running on the Conservative Party line, Buckley defeated Republican incumbent Charles Goodell and Democrat Richard Ottinger. And the randomly chosen winner is Kent Coe of La Grande, Oregon. He gets the coveted Political Junkie button.